Richard J. "Bucky" Call, age 71 passed away on February 1, 2018 at Lake West Medical Center. He was born on September 3, 1946 in Painesville to the late James and Elizabeth Call. 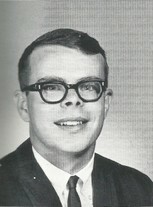 Bucky was an U.S. Army veteran serving during the Vietnam War. He worked for Addressograph Multigraph in Euclid for 19 years before starting D.C. Sounds Unlimited, his own mobile disc jockey business. Bucky enjoyed antique and classic cars, collecting records, watching sports, especially college sports, and was a Cleveland Browns season ticket holder since 1964. Bucky loved all animals, especially his dog, Chase. Survivors are his wife, Rose (nee: DiCarlo) of Painesville, children, Melissa (Bryan) Pratt of Mogadore, and Benjamin Call of Painesville; grandson, Jackson James Pratt; sisters, Patricia (Joey) Arcadi of FL, Rosemary "Judy" Call of FL; brother-in-law, Robert Alto of Massillon, OH. In addition to his parents, he is preceded in death by his sister, Betty Jean (Call) Alto. Visitation will be Sunday from 2-4PM with a memorial service following at 4:00PM at Johnson Funeral Home, 368 Mentor Ave., Painesville, Ohio 44077. Memorial contributions are suggested to the Wounded Warrior Project, PO Box 758517, Topeka, Kansas 66675-8517.